Flags There are 370 products. Attract lots of attention towards your company, product or services. Custom Flags will help you to stand out from your competitors and be seen by your customers and visitors. 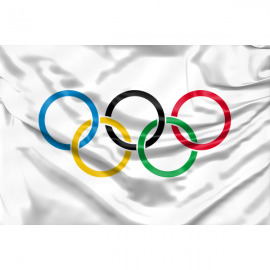 Customizable flags are able to attract lots of attention from your future customers or your event participants. It helps to send a clear message and is a good customer stopper in front of your store, event, fair and etc. Simply print your own logo or advertisement on one of our custom flag models and start representing yourself. 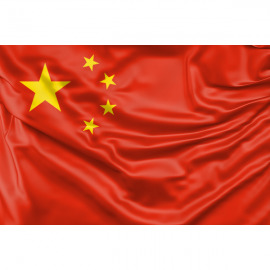 Custom flags are made out weather-resistant and UV-resistant material. A big variety of different British flags. 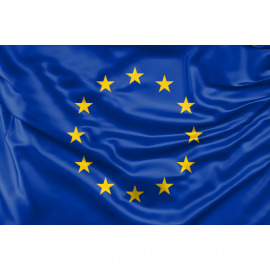 Choose from 4 different categories: national flags, county flags, city, town and village flags or government flags. 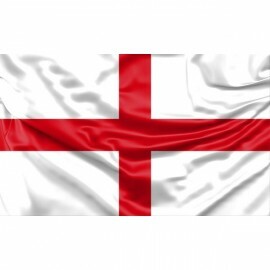 Simply select the flag you need, it's size, finish and you will be able to purchase it just by the few clicks of Your mouse. 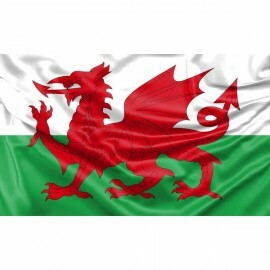 All our flags are digitally printed on high quality polyester. All flags are made according to the requirements. We print each flag by ourselves. For that we use, already proven, flag fabric which is durable, weather-resistant and perfect for the printing. All flags are printed with the perfect, high-resolution printer. Choose your flag size, select it's finish and purchase the selected flag online. 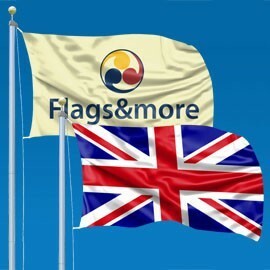 We ensure the best quality and experience combined with easy and quick service here at Flagsandmore.co.uk! 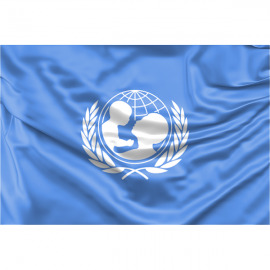 Internationl flags for your home, company, club, organization or any other institution. Choose your national flag, select size, direction and finish and just by few clicks you will be able to order your national flag. 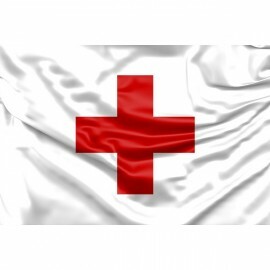 Organization flags for your company, organization or institution. 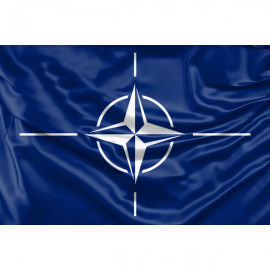 NATO, EU, UN and other organizational flags. Simply choose the flag design you need, select its size, direction and finishing. And just by the few clicks you will be able to order an original organization flag. All signal & maritime flags at one place. 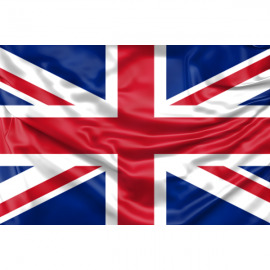 Traditionally these flags are used as a form of maritime communication by The Royal Navy, NATO and other motor boats or yacht clubs. We are offering a complete range of all international signal flags. You can buy all signal flags separately or in a full set. All signal flags are made according to the requirements. We print each flag by ourselves, that's why we can ensure the best possible quality. 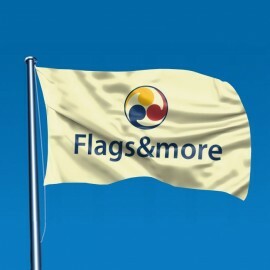 You only need to choose the size of the signal flag, it's finishing and just by the few clicks of your mouse, you will be able to order all maritime flags online. 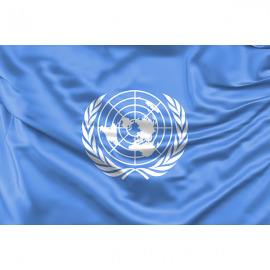 For all marine flags we do use already proven, flag fabric which is durable, weather-resistant and perfect for the printing. All flags are printed with the perfect, high-resolution printer. 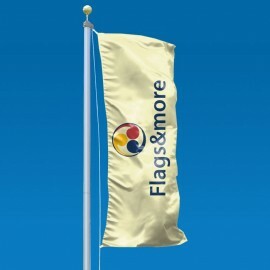 We ensure the best quality and experience combined with easy and quick service here at Flagsandmore.co.uk!